The celebration of the Eucharist is the source and summit of the Catholic faith. For the students of St. Dominic Savio, Mass is a time for the community to unite in worship and to be fed in a wisdom that goes beyond the classroom. Through the graces that flow from the Eucharistic sacrifice, we hope to strengthen the fellowship we have with one another so that we may become faithful disciples who love one another and love the world as Christ has first loved us. Our school celebrates Mass together as a community every week, typically in the beautiful sanctuary of our neighboring parish, St. Vincent de Paul. 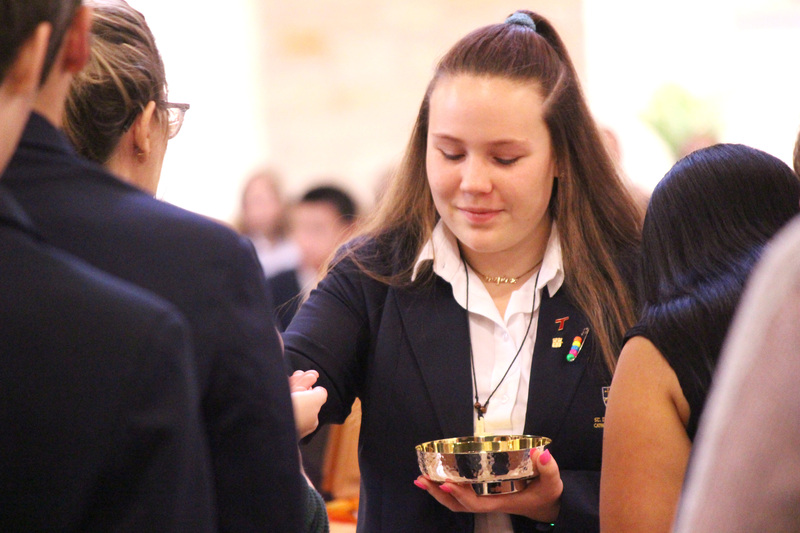 In light of the formative nature of service, student leaders from the Timothy Team work with student volunteers to fulfill ministries such as Lector, Altar Server, Sacristan, Extraordinary Ministers of the Eucharist, as well as Music and Hospitality. In serving their school community, these student leaders are also invited to a closer relationship with Christ. As such, volunteers for these ministries are provided with training and preparation that is not just practical, but also theological and spiritual. The Formation and Ministry Office provides a "liturgical orientation" for students at the beginning of the year in order to help them take advantage of all the spiritual resources available on campus for their spiritual and personal growth. 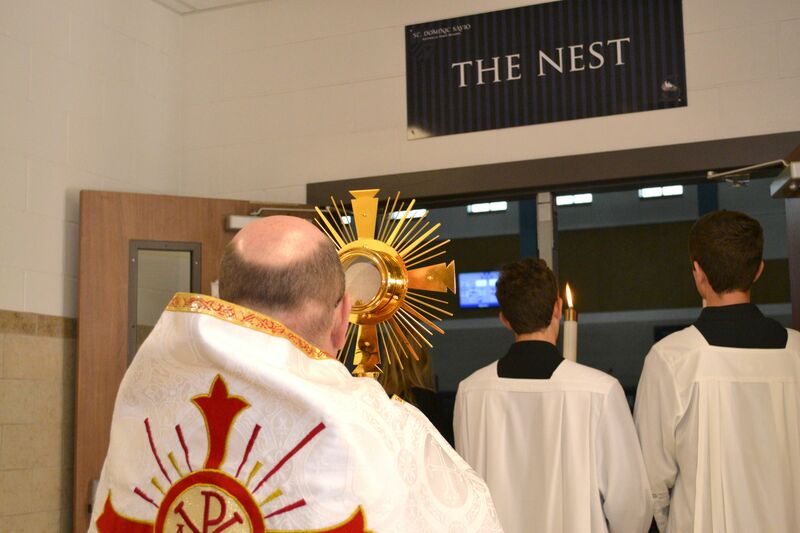 Once a month, typically on the first Friday of the month, the St. Dominic Savio school community gathers for Exposition and Adoration of the Blessed Sacrament. Students, faculty, and staff take time out of their busy days to pray, to reflect on their lives of faith, and to worship together. On various occasions, time is devoted to student witnesses, praise and worship songs, litanies, and the Rosary. This time of prayer is always directed toward a greater love of and relationship with Christ, leading us to the reception of Christ's very Body and Blood in the Mass. The Sacrament of Reconciliation is one of the greatest instruments of healing in our broken world, bringing us ever more fully into God's perfect love. Frequent reception of this Sacrament is fundamental to our growth in faith and the development of our capacity to be servant leaders in the image of Christ. 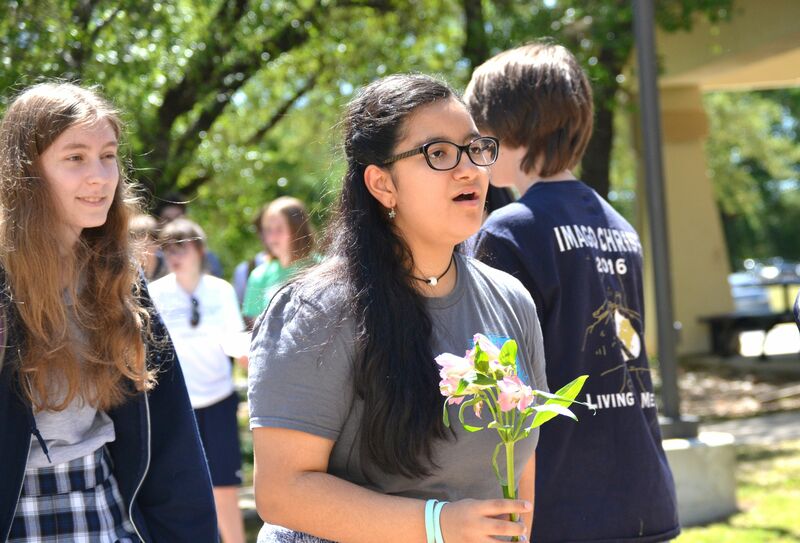 For these reasons, the school encourages students to receive the grace of Reconciliation as often as possible. 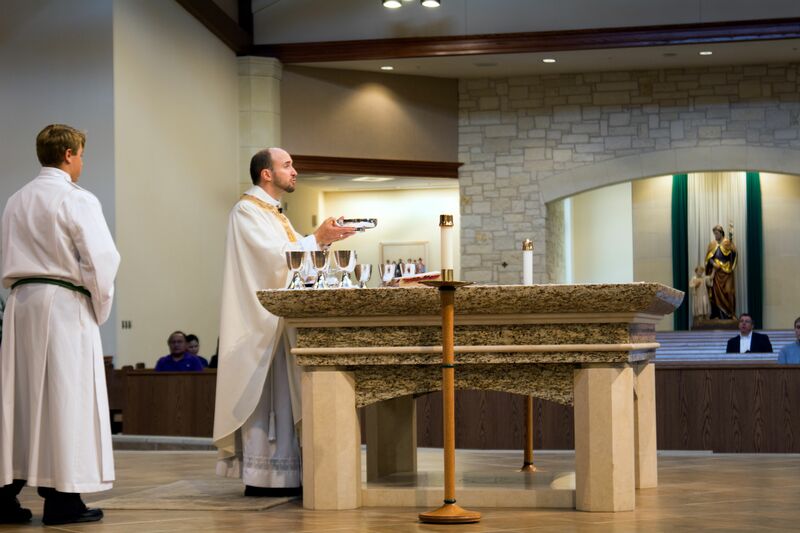 Our Formation and Ministry program invites priests to be available to administer the sacrament during Exposition every month, for most retreats, and during the liturgical seasons of Lent and Advent. The school often focuses on the development of fellowship and Christian community throughout the school year. This is done through special Masses such as combined Masses with Holy Family, our celebration of the feast day of St. Dominic Savio, Grandparents Day Mass, and Masses held for special intentions such as vocations, respect for life and volunteer appreciation. 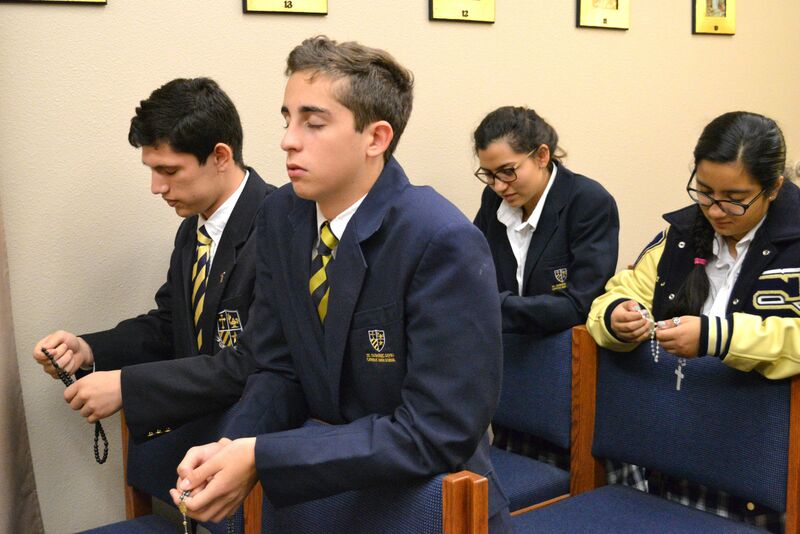 Numerous additional opportunities exist for devotional prayer such as student-led Divine Mercy Chaplets at lunch, cultural prayer including a communal effort to prepare a Day of the Dead altar, and access to personal prayer and adoration in our school chapel. The St. Dominic Savio community is blessed to have our very own chapel and tabernacle on campus. The chapel is located off-the student commons and is always open to students, faculty and staff for private prayer, rest, and reflection. 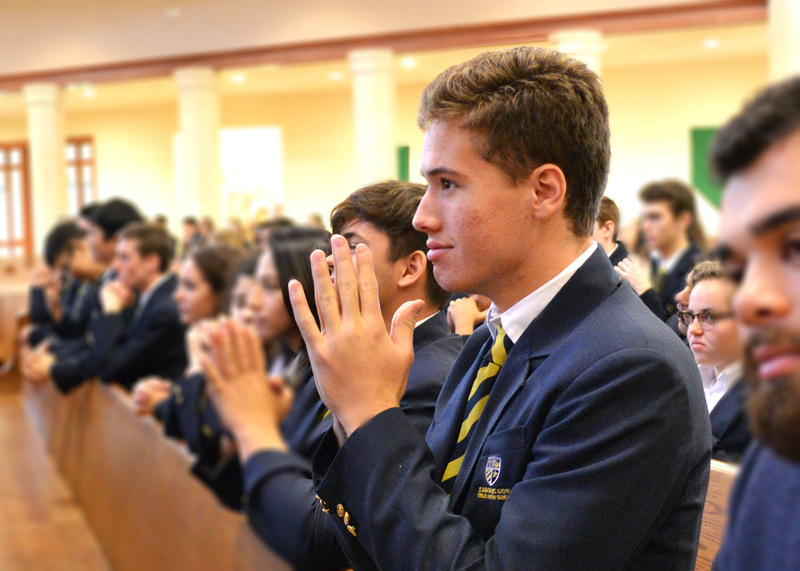 Mass is celebrated in the school chapel at least once a month before school.